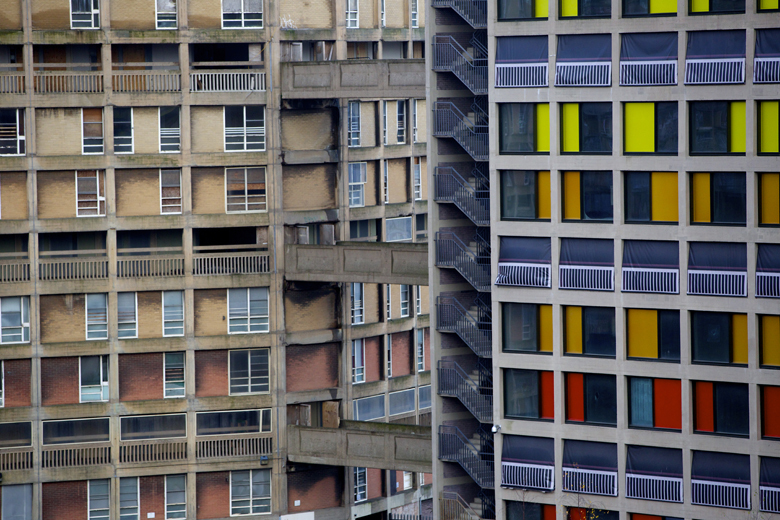 If you’ve ever arrived in Sheffield via the M1, you’ll know that the Park Hill Flats dominate the southern entrance to the city. In their unregenerated state, they were the poster kids for the caption “It’s Grim Up North”. The Guardian’s “Northern Eye” feature today has a great portfolio of shots of the flats, now partly redeveloped by Urban Splash, with a bit of their history thrown in. The portfolio is great in toto, but this is the standout shot: the still undeveloped blocks right up against the jolly colourful developed ones. Note the bridge from the old world to the new. However, as a commenter on the site has pithily remarked, in the current context even 1970s brutalist social housing provision is better than no social housing provision at all. Think on.